MoneyClaimsUK can help obtain a Third Party Debt Order to secure monies in a bank or building society account, or to get monies owed to your debtor. This allows you to apply to a third party (typically a bank) to obtain monies belonging to the defendant. 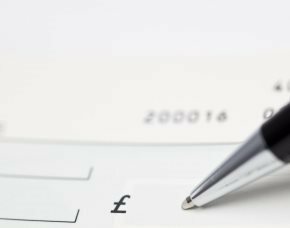 The court will decide if money from the account can be used to pay the debt in which case they can freeze money in a person’s bank or building society account or in a business account. A Third Party Debt Order may also be served on anyone who owes the judgment debtor money so where a judgment debtor cannot pay you because they are owed money by someone else, then a Third Party Debt Order attaches to that third party so they pay money to you rather than paying the judgment debtor. These orders are commonly directed at the judgment debtors bank/building society to pay money out to satisfy the debt. To obtain a TPDO the judgment creditor needs to have evidence as to the judgment debtor's bank or building society accounts and/or as to any other debts. These Orders lend themselves best to situations where that information is already available in some form eg following an Order to Obtain Information. If a TPDO freezes a bank account that is overdrawn at the time that the bank or building society receives the Order, then the judgment creditor cannot require payment from it. A judgment debtor may deliberately stop paying money into an account to avoid paying the judgment creditor.